When you hire a private attorney, you have the choice on what kind of relationship you will have with your attorney. Read this tip sheet and decide what fits your situation. Why should I be involved in the handling of my legal case? The bottom line is that you are already deeply involved. The outcome of the case will inevitably affect you more than your attorney. No matter what role you envision for your attorney, you should be the decision maker on all major points in your case. You hire an attorney for experience on legal procedures and familiarity with the appropriate court system. However, the more fully informed you are, the better prepared you will be to make the necessary key decisions and to oversee the work of your attorney. How involved should I be in my legal case? At a minimum, many consumer advocates recommend that you learn some of the law relevant to your case. Look through the topic areas on this site. You can find out about courtroom procedures from staff at the court (although they may be reluctant), legal aid staff, the law library or your public library. Attorney as “coach” - You may choose to hire the attorney as your legal advisor to your case which you handle yourself. Not all attorneys will be comfortable in this role but many attorneys, especially in smaller firms, may be interested in empowering consumers. You support the attorney through gathering documents and other agreed upon tasks. It may be wise both financially and in terms of your attorney's time for you to volunteer to undertake certain tasks to support the work on your case. There are a number of tasks in the development of any case which do not require specialized legal expertise. You may be able to compile information, research regulations or company policy, obtain birth certificates or other documents, review the factual portions of documents prepared for court, or take other actions that you or your attorney identify as helpful for the case. Traditional approach to the attorney/client relationship. Under the scenario often presented in films or television, a client simply informs the attorney of the problem and the attorney, without regard for expenses or further consultation, "solves" the case. In real life, it is much more of a partnership. It is critical for you to expressly detail your expectations regarding consultation and decision making on both the outcomes and cost of the case at the outset of your relationship with the attorney. Tip: No matter what role you and your attorney agree upon, maintain your own copies of all files and original documents in a fireproof box or bank vault. Do not rely upon your lawyer's file system as the only repository for these important papers. What are my needs to control (monitor) the day-to-day direction of the case? The final step in deciding the level of your involvement is a clear agreement and understanding between you and your attorney about your relative roles and expectations. On the one hand, your involvement should not hinder the attorney from exercising the expertise for which you hired the attorney. On the other hand, all options should be explained to you clearly. Ask questions about the details of a proposed action until you understand how it will affect your case. Be wary of an attorney making strategic decisions without you or presenting a proposed next step as necessary without explaining the merits and costs of the option. Do you want your attorney to act as pro se coach or as your representative? What work can you provide on the case? How frequently do you want to receive a billing (or a list of expenses, if a contingency fee)? Are there spending limits for expenses or fees which should trigger a call to you before going ahead on the case? 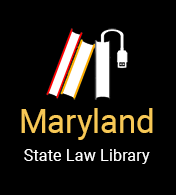 A special project of the Eastern Shore Regional Library under a Library Services Technology Act grant from the Division of Library Development Services/MD State Department of Education.